Demi Lovato will always have a friend in Wilmer Valderrama. While the two have not been a couple for years, the actor's ceaseless support of her has never been more clear than now as the songstress continues to recover from her July overdose. More than two months since her frightening hospitalization, Lovato remains in rehab, where Valderrama has been a recurring visitor. As a source confirmed to E! News, the 26-year-old star is still recovering and is expected to stay at least 90 days. She reached her 60-day mark last week. As the insider noted, she is doing really well and is following all of the steps of her program. Per the source, the performer has really been present and willing to get help. In regard to her famous ex, the NCIS star has checked in on her several times, the source noted, and has made trips to see her. As the insider explained, he has shown a lot of support in the past two months, whether it be through a text message or a trip to visit. 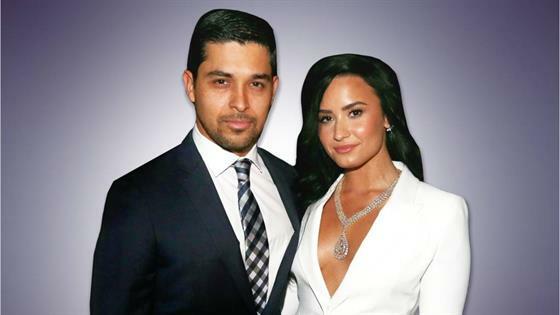 Although they are no longer romantic, according to the source, Wilmer knows that he needs to be there for Demi during this time and definitely still cares for her. Additionally, Lovato has been relying on her mom and her sisters for support and everyone is very grateful to have her alive and well, the source told E! News. It was just recently that her mom, Dianna De La Garza, broke her silence publicly on her daughter's hospitalization in an appearance on Newsmax TV. "She just didn't look good—at all. She was in bad shape," de la Garza recalled of seeing the songstress on that day at Cedars-Sinai Hospital. "But I said to her, 'Demi, I'm here. I love you.' And at that point she said back to me, 'I love you, too.'" Fortunately, the star pulled through. "She's happy. She's healthy. She's working on her sobriety, and she's getting the help she needs," De La Garza assured viewers. "That in itself encourages me about her future and about the future of our family." As her younger sister Madison De La Garza echoed in an interview with Millennial Hollywood just days ago, "She's working really hard on her sobriety and we're all so incredibly proud of her. It's been crazy for our family. It's been a lot."